Do you know what the Virtual Boy is? It’s a 23-year old reminder that when you craft presence in virtual reality (VR) programs, what you decide to invest in (and use your budget for) really matters. Let’s dig deep in the vaults of gaming history. In 1995, Nintendo released a 32-bit table-top video game console called Virtual Boy. It consisted of a head-mounted display, similar to various current-day VR headsets, except it wasn’t fully portable. Players would place their head against the eyepiece, which rested on a surface, and see a red monochrome display. The red-and-black screen was capable of creating the illusion of depth; it was, in fact, marketed as the first gaming console capable of doing so. The Virtual Boy wasn’t VR, but it was a primitive ancestor, an attempt to produce an immersive virtual environment. Not only that, it was the first mainstream approach to VR in gaming, developed by one of the medium’s historic powerhouses. It was also a complete disaster. Critics tore it apart and the console sold poorly. There were a few reasons for its demise. Ultimately, though, failure came down to one thing: the Virtual Boy experience didn’t offer a worthy immersive experience. The original plans for the console were very ambitious. Nintendo wanted to use state-of-the-art technology to develop a real VR experience. However, over the course of four years of development, the company down-scaled the console technology due to high costs. 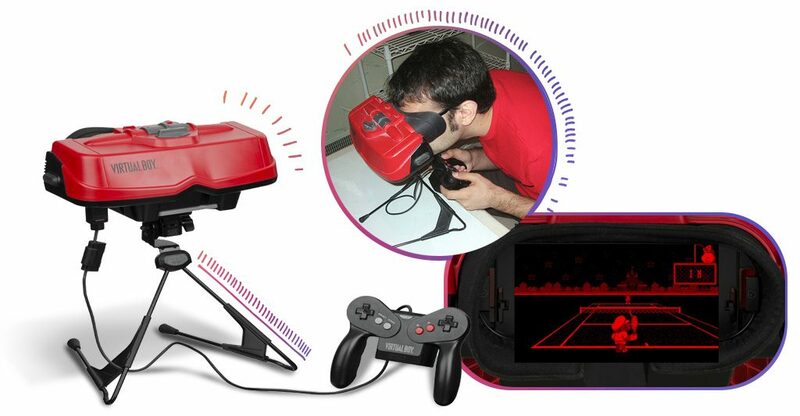 In the end, the Virtual Boy hit the market as an unfinished product. Even before reaching stores, Virtual Boy was dead already. Keep an eye on your virtual reality production costs! What’s the lesson here? Developing a VR project is exciting. There are so many options from which to choose, from 360 video to 3D environments. Where and how do you invest your money? This is an important question for any company developing VR, but especially for learning and development (L&D) departments creating VR for learning, that are more often than not working with limited budgets. At the end of the day, what’s important is creating a great experience for the learner and achieving your learning objectives. 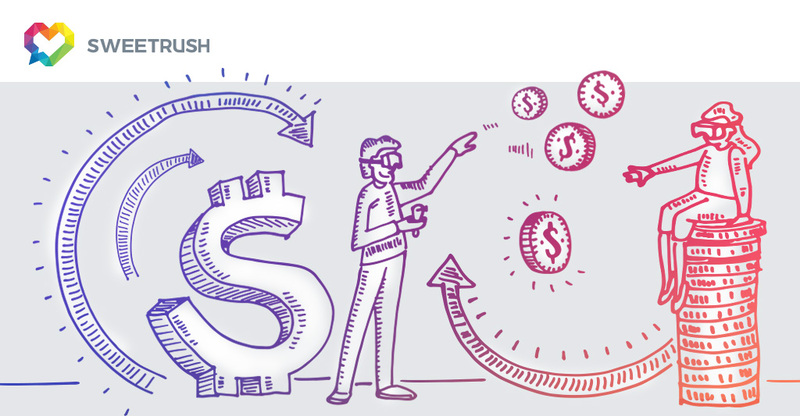 How do you avoid “shiny object syndrome” and invest where really matters? As a matter of fact, VR is such a unique and exciting learning tool for the workplace in big part because of presence: the feeling of “being there”, which in turn leads to higher levels of engagement, is intricately linked to retention. “You can’t do that with any other medium: experience what it’s like to do something first-hand,” says John-Carlos Lozano, chief creative officer at SweetRush and head of SPARK, the company’s emerging technology group. Presence, nevertheless, is a delicate thing. Many factors can disrupt it. In a VR environment, your brain is on the lookout for details that don’t feel real and make you think “I’m not really here”. Yet, the issue of feeling real is complicated. “While some things can disrupt our sense of reality, other seemingly non-real items can be acceptable, with our brain filling the gaps,” writes Hart. Therefore, crafting effective VR learning programs is all about balance, and that starts with careful consideration of where to invest in quality and detail. In Hart’s article, Virtual Reality for Learning: Balancing Budgets and Presence, you’ll find valuable lessons that will help you maximize your program’s virtual bang for your real buck. Nowadays, owning one of the 770.000 Virtual Boys ever sold is quite the privilege: it’s the fifth worst-selling console of all time, and each surviving unit is considered a worthy collectible. But you know who’s not happy about it? Nintendo. The Japanese company threw away their money in a project that was ambitious, but didn’t deliver on its promise. Now, you have the chance to learn from their mistakes. Make sure your VR program delivers presence—without killing your budget in the process. Interested in how SweetRush can help you with your VR project? Visit our SPARK page and learn more about our services.